Firewood is available from Lazy Spread Farms any way you need it. Firewood is available for pick up. 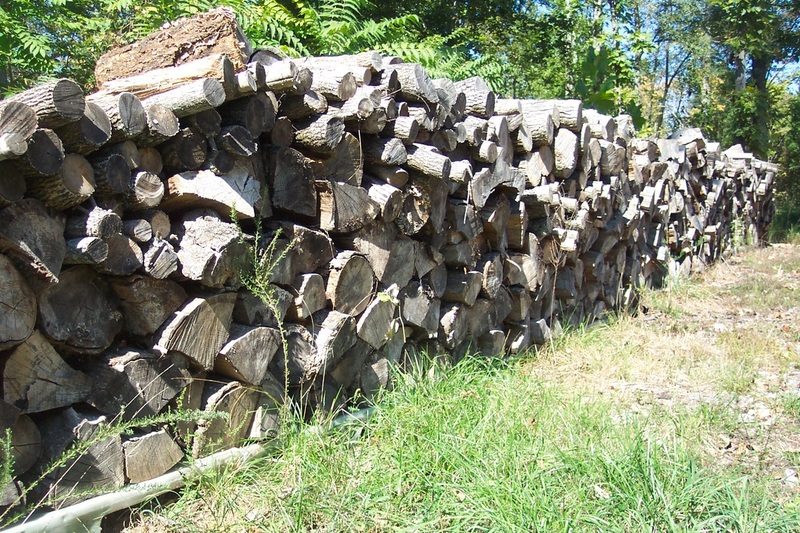 Seasoned firewood is used for outdoor cooking, bonfire wood, fireplace and camping firewood. * A rick is an open air stack equal to about a third of a cord. A cord is a stack of wood 4' high, 4' wide, and 8' long. Our rick is 4' high, 8' long, and the logs are at least 18" long. We provided big, bulging ricks of wood. * Wood is seasoned, or allowed to air dry, for a minimum of eight months after being cut. Most of our firewood is seasoned for twelve months or longer. We store the wood while it is seasoning. This means that the wood is ready to burn as soon as you get it home.